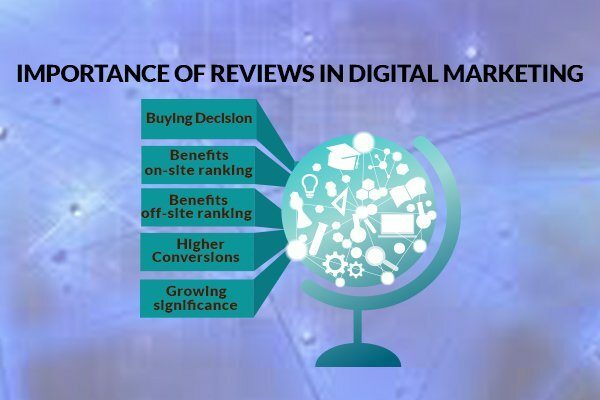 What is the importance & influence of reviews in Digital Marketing? As digital marketers, it is very important to understand the usage and attitude of your customers towards online reviews. Though these reviews are based on thoroughness and comprehensibility, they have a powerful effect on the customers as well as the performance of the brand. Consumers are an integral part of your brand. Their reviews play an important role in shaping your brand and how you are being perceived online through their interactions and what they speak about your brand. Review is simply the new version of ‘word of mouth’ in online marketing. It is reported that over 90% of the consumers read reviews online and 88% of them trust the reviews and recommendations. 72% consumers say that their action is dependent on reviews. With the explosion of digital channels, the number of people who read and trust online reviews is also increasing. While 88% of the people trust online reviews like a personal recommendation, not offering online reviews is just like ignoring the potential marketing opportunity. Providing customers with the reviews and the information they want helps them make the buying decision. Enabling online customer reviews on your website can help promote the organic search of your company’s ranking in the search engine. Every time a new review written on your website adds to the unique content of that product and higher page authority. Hence, more the relevance and higher the chances of getting page ranked and increasing search visibility. The more the positive reviews about your business on external or other website, the bigger the impact on the rankings of your website. It is due to Google’s local search algorithms, as it incorporates the data from third-party directories and review sites. These sites are said to review the business as whole rather than focusing on a single product for higher impact. Thus, the more the reviews on such sites, the higher your ranks in Google’s search. The more the number of reviews you have, the higher the chances of your conversion rate. Good or bad both the reviews can have positive effect on your conversion rate. Having a mix of both good and bad shows that you are sincere and aren’t hiding anything from the customers. The more the honest reviews the more the chances of your product sales. A survey indicates that the significance of reviews is growing every year to making buying decisions. Google’s SEO (Search Engine Optimisation) algorithm changes in order to promote consumer reviews’ visibility and rankings. Additionally, new tools and technologies such as review platforms, video mediums are commonly used. Online reviews are most important not only to the major online shoppers but also for your organic search rankings and online visibility. Additionally, third-party directories can also help promote your brand with its direct and indirect reviews.